Economic Development Minister Alexei Ulyukayev. Alexei Ulyukayev proposes the use of national currencies in bilateral trade. Russia and Japan should seek ways for developing bilateral relations in spite of global complexities, Economic Development Minister Alexei Ulyukayev said on July 19 at a business breakfast with Japanese business executives. “I recall our previous meeting in Moscow on June 9 when you, Mr. Asada (Teruo Asada, the chairman of the Russian-Japanese Committee for Economic Cooperation) and some other Japanese counterparts visited our ministry, and I consider the current meeting as continuation of the historic dialogue, which Prime Minister Shinzo Abe and President Vladimir Putin began in Sochi,” Ulyukayev said. “Given the knotty global situation taking shape now, we seek ways for developing our historical relations and we must find them,” he said. He thanked his Japanese counterparts for continued dialogue and for business contacts with Russian companies and said the Russian side treasured relations with Japan and concentrated on supporting the Japanese businesses’ collaboration with Russian businesses. Ulyukayev said the Russian-Japanese intergovernmental commission would hold a session in Moscow at the end of the year, while its sub-commission for trade and investment would meet in Tokyo on July 20. “We hope this will help flesh out the plan of several items that Prime Minister Abe and President Putin discussed at their meeting,” he said. Asada said in a speech on his part he expected a fruitful dialogue at the meeting. Ulyukayev suggested that Russia and Japan use settlements in national currencies in trade and investment. 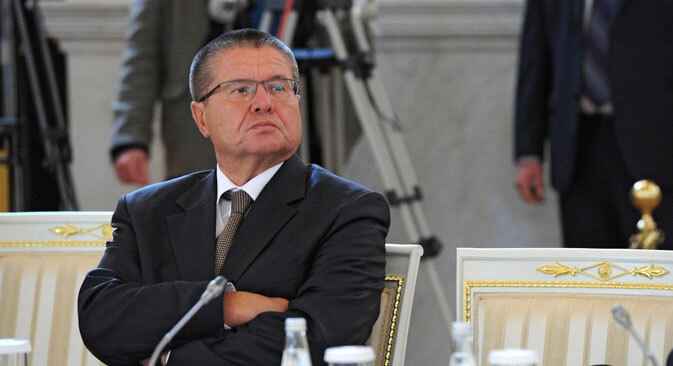 The World Anti-Doping Agency's report on the use of doping by Russian athletes is a manifestation of mistrust towards Russia, the Ulyukayev said. “That's why this is really an incongruent approach -- and moreover the one reflecting a definite political line,” he said when the channel asked him if the WADA report was a signal of mistrust. “We stand for resolving all the emerging problems in a calm atmosphere,” Ulyukayev added.